In a personal injury claim, the first avenue of recovery that a claimant should always look to is the at-fault party’s insurance for recovering for one’s medical expenses, loss of earnings, and pain and suffering due to a serious motorcycle, bicycle, pedestrian or car accident. However, if the at-fault party’s insurance coverage is not sufficient to cover an injured party’s losses, they can pursue the at-fault party personally. If the lawsuit renders a favorable outcome for the injured party (plaintiff), then the at-fault party (defendant) will have to pay the plaintiff from their personal funds. If the defendant is unable to pay the judgement against them, partially or entirely, then the plaintiff can attempt to recover the funds through wage garnishment. Wage garnishment is an order from the court sent to a debtor’s employer ordering the employer to withhold a certain amount of money from the debtor’s paycheck to pay off a debt [CP § 706.010]. The withheld funds are then sent directly to the creditor. Wage garnishment will continue until the date is paid off, or until other arrangements are made to pay off the debt. How do I get a wage garnishment order? In a California personal injury case, in order to get a wage garnishment order, the injured person will have to file a lawsuit and obtain a court judgement that states that defendant owes the plaintiff money. Thus, a creditor (the plaintiff/injured party) may not garnish a debtor’s (the defendant/at-fault party) wages until after there has been an official judgement in favor of the creditor in personal injury suit. (This typically means the plaintiff has to find a personal injury attorney willing to take their case to trial and get a judgment in their favor. This can be difficult to do, because most personal injury lawyers get paid on a contingency fee basis, and the odds that the defendant will have enough money – even through a wage garnishment – to pay the judgment are low. Plus, this means the personal injury attorney will get paid little by little – just like the injured party – through the slow wage garnishment process, which is not a very desirable outcome for the lawyer.) The creditor will then have to confirm that the judgement debtor is in fact an employee. Wage garnishment will not be available if the debtor is unemployed. The wage garnishment process can be tedious and involved, and may take years for the debtor to pay off their debt. To process is initiated by judgement creditor. They will have to file a wage garnishment application with a levying officer or a registered process service for the issuance of an earnings withholding order. CCP §§ 706.3102(a), 706.108. This form that must be used is the Judicial Council Form WG-002, and is the official form for an earnings withholding order. CCP § 706.120. Service of the earnings withholding order by a uniformed peace officer can have more of an impact on a potentially uncooperative and hostile employer. However, it may be desirable to use a registered process server if it is necessary to serve the earnings withholding on the employer more quickly or at an unusual time or place. The application for an earnings withholding order must be made before expiration of 180 days from the date the writ of execution was issued [CCP §§ 706.102(a), 706.108(a); see CCP § 699.530(b)]. The order has to be renewed every year! The lien continues for one year from the date the earnings of the judgment debtor become payable, unless the amount required to be withheld pursuant to the order is paid as required by law [CCP § 706.029]. An earnings withholding order may not be issued against the earnings of the judgment debtor’s spouse except by court order on noticed motion [CCP § 706.109]. How much money can I get from a wage garnishment order? As we mentioned above, this is a SLOW process! You can only get 25% of the debtor’s weekly post-tax income. What are the impacts of wage garnishment? An employer may not discharge an employee because his or her earnings have been subjected to garnishment for any one indebtedness [15 USC § 1674(a)]. A willful violation of this provision is punishable by a fine of up to $1,000, imprisonment for up to one year, or both [15 USC § 1674(b)]. However, an employee discharged in violation of this provision does not have a private right of action against the employer [LeVick v. Skaggs Cos. (9th Cir. 1983) 701 F2d 777, 779–780]. What income is exempted from wage garnishment? The part of the judgment debtor’s earnings necessary for his or her support or for the support of his or her family ordinarily is exempt from garnishment [CCP § 706.051(b)]. “Family,” for this purpose, includes the spouse or former spouse of the judgment debtor [CCP § 706.051(a)]. Furthermore, child and spousal support, social security benefits, welfare, along with other government benefits and assistance are all exempt from a wage garnishment order. Conclusion & things to keep in mind when pursuing a wage garnishment order. Due to the long and complicated nature of the process, wage garnishment is not an ideal way for a plaintiff to get paid for the losses they endured due to a personal injury traffic accident, and thus should be the last possible avenue of recovery a plaintiff should pursue. Further, a debtor can avoid wage garnishment if s/he is laid off or fired from an existing job. Thus, if there are other any other avenues of recovery available—it would be wise to investigate and exhaust those avenues first prior to seeking a wage garnishment order. Other sources of recovery to exhaust include all available insurance coverages, such as: auto insurance, umbrella insurance, underinsured or uninsured motorist coverage under your own auto insurance policies, home owner’s insurance, or if the at-fault party was in the scope of employment at the time of the accident, his or her employer’s available insurance coverage. Additionally, it would be good to have an idea of what other personal assets the at-fault party has prior to litigating a claim and obtaining a judgement. If s/he owns a house, has a large trust fund, or has equitable stocks or bonds, than pursing them personally might be worth the time, energy and costs of litigation and trial. However, if the only possible source of recovery is wage garnishment, you may want to rethink suing the at-fault person personally—as you will have to not only receive a favorable court judgement against the defendant, but you will likely see very little money over a long period of time, or no money at all. 1. Verify that judgment debtor is “employee” earning compensation from employer for personal services performed by judgment debtor. 2. If wage garnishment is desired, obtain a writ of execution from the court. 3. Obtain issuance of earnings withholding order by filing application, before expiration of 180 days from date writ of execution was issued, with either a levying officer or registered process server. 4. When earnings withholding order has been issued, obtain service of order on debtor’s employer. 5. Verify that levying officer or process server accomplished service prior to expiration of 180 days after issuance of writ of execution. 6. Verify that employer has notified judgment debtor of earnings withholding order within 10 days after service of order. 7. If judgment debtor files notice of claim of exemption, follow statutory procedures to contest claim. 8. Verify that at least once every 30 days, levying officer pays over to judgment creditor, and accounts for, amounts received from employer. 9. Verify that at least once every two years, levying officer accounts to court for all amounts collected under earnings withholding order. 10. Ascertain that levying officer makes return of writ of execution to court when earnings withholding order is satisfied. 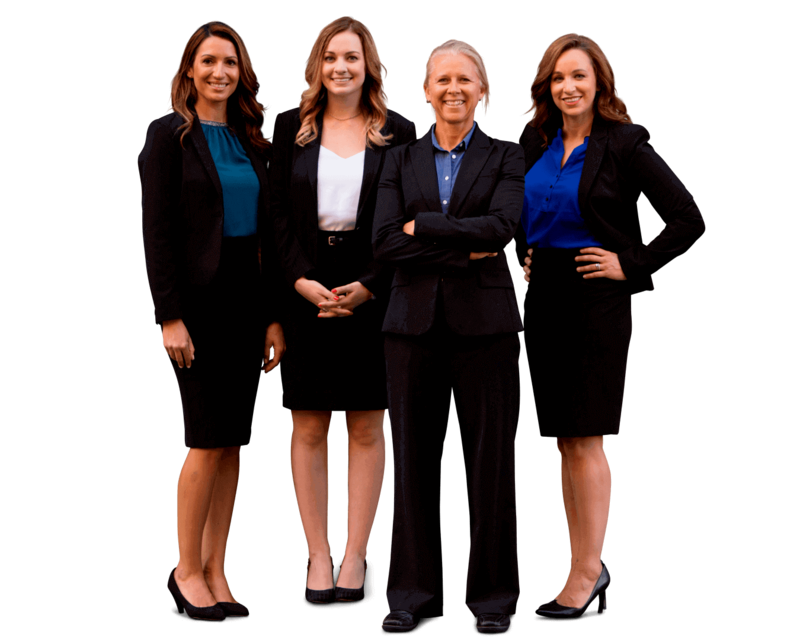 Although we are experienced San Francisco and Los Angeles personal injury attorneys, we do not handle post-judgment wage garnishments. However, we do have colleagues who handle this process and would happy to make a referral should you or someone you care about need help.